How Can I Brighten Up My House? 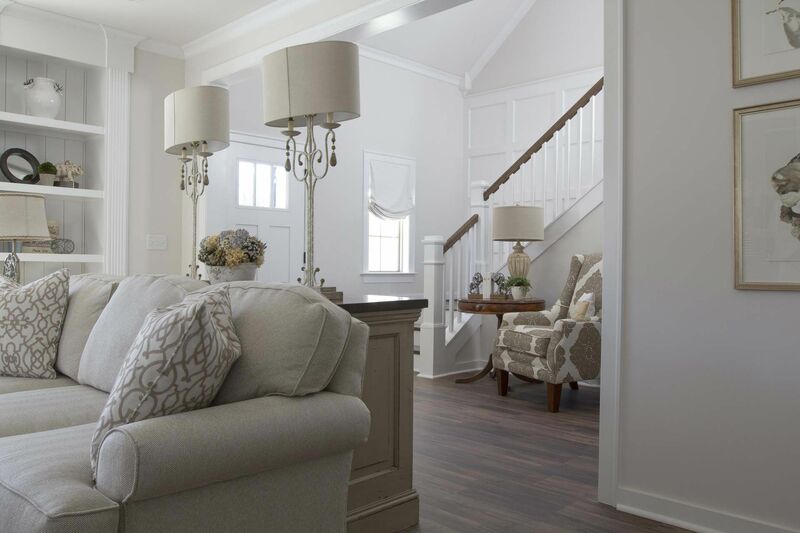 Before we start with the helpful advice, you should know some of the basic rules of interior design when it comes to brightening up the house. Firstly, you should have large windows that offer unobstructed views. Secondly, you should not have tall furniture next to the windows as it blocks sunlight from spreading all around the space. Placing tall furniture across or as far as possible from your views is highly recommended. Thirdly, choose material that reflects light and doesn’t absorb it. Yes, this means you should get rid of all those cute rugs. Forth and final, add white bulbs which are more energy efficient and brighten up the space 10 times more than regular bulbs. The color of your walls, window frames, doors determines how sunlight will be fractured on the inside. If your walls are dull and grey like a cold winter day then get that paintbrush and colorize everything you can touch. So, choose a favorite color and investigate its brighter shades. For instance, if you choose blue, consider baby blue, tiffany or electric. We all know that interior design isn’t as easy as it sounds. Choosing the best artwork, accessories, colors for a room can become a difficult task. A good piece of advice while doing so is taking your time. Start with standing in the middle of a room by yourself. Think of the colors which are missing, the type of objects which will intensify the space and which furniture isn’t needed. Authentic artwork, lamps, gentle wall patterns and mirrors definitely increase the room’s aesthetics, overall feel and brightness. You might have everything in the place where it is supposed to be and still have a dark house. The most common issue for homeowners is poor windows. In fact, window replacement is highly recommended for homes with insufficient natural lightning and bad insulation. The way the sun enters your home depends on the type of glass your windows have. Why not make its entrance more elegant and invest in some new fine-looking windows? A common question for homeowners is whether they should invest in drapes or blinds and it is a right question to ask. Windows treatments have a significant impact on the feel and look of a room. If your house seems too dark lately then investigate your drapes or blinds, imagine yourself with ones that allow better views and more light to enter the space. A great way of brightening up any type of room is by going green. Flowers and plants make days more enjoyable and increase oxygen levels in homes. Additionally, it has been noted that homeowners more frequently remember to open up the blinds if they have plants inside. The color green is also known to relax the mind and improve self-confidence. C.A.P.O.R. 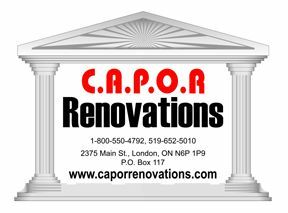 Renovations is your one-stop solution for Windows Replacement, Door Replacement, Roofing Repairs, Vinyl Siding and Exterior Home Renovation in London.